The distance run in this race is 4 miles 2 furlongs and 74 yards is the longest race run in the UK today. This runner guide is now being updated daily. Please refresh your browser to ensure you see latest version. 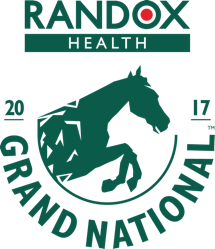 The 2017 Grand National looks as if it may turn out to be one of the most open Grand National races for quite some time. With only two horses, who finished in the top 10 last year running again this year it bodes well for an interesting race and a lot of the Aintree form factor for many of these horses is missing from their form lines. The market has not been very volatile and perhaps with so many horses at big prices currently that just shows how open the race is. Heading the weights this year is last year's second place The Last Samurai. Obviously laid out for this race he has been running really well this season. In last year's race, he ran extremely well and wasn't far away from the leading pack. He jumped for fun on the day and looked to be going really well and in fact was in front at Valentine's Brook on the second circuit. He was then fighting off challenges from all other horses until you reached the elbow on the run in when Rule the World went past him to win the race by six lengths. He carries top weight this year and will be asked to carry 1st 2lbs more than last year. That seems like a lot of weight but it has to be remembered that although he didn't win last year he was eight lengths ahead of the rest of the field, and that was a really fine performance. This year he's done nothing wrong in his races and was back over these fences in December when he contested the Becher handicap chase which is run over these fences but only one circuit. He ran really well that day finishing third a short head behind another of today's runners Highland Lodge. That day he had to give him 22lbs in weight whereas today he only has to give him 13 lbs. Both those horses will behind another of today's runners Vieux Lion Rouge who was getting 16lbs from The Last Samurai but now only gets 12lbs. So The Last Samurai is a horse with course form and distance form and that might be of big help for him today. "Perhaps the best horse I have ever trained", the words spoken of the next horse in the weights More of That. Trained by Jonjo O'Neill this horses bear recent form would suggest that perhaps he isn't that good, but that doesn't take away from the horse's talent. He was a really good hurdler, winning his first five races culminating in the 2014 Ladbrokes world hurdle at the Cheltenham Festival where he beat the extremely talented Annie Power, and he is the only horse to beat Annie in any race where she has not fallen. He looked to be going the right way in his novice chase season and was third in the 2016 RSA Chase beaten into third by another of his challengers today, Blaklion. This season was started at the Cheltenham November meeting but he was pulled up when a strong favourite. Since then he has not shown his real form and that includes a run in this year's Cheltenham Festival Gold Cup where he finished sixth but was never really on terms with the leading runners. This is one horse who still has bags of potential but will he show it today. The main worry for me is that he may have had too hard a race at the festival however he did get outpaced in the race and maybe the gentler pace of this race will suit him better. The Welsh trainer Rebecca Curtis sends seven-year-old gelding Shantou Flyer to this race today. He is one that has bypassed the Cheltenham Festival this year in order to come to this race. He has some good form since moving to Rebecca Curtis's yard from another Welsh yard that of Peter Bowen. In his three runs since the move, he beat smart performer Village Vic at Cheltenham over 2 miles 5 furlongs and most recently in February he was a 2nd to the very classy Cue Card in the grade 1 Ascot Chase. He is a nice young horse who has won one time over 3 miles so he should get the trip but his biggest problem is his age. Seven years old is very young and perhaps he doesn't have the experience to take on the Grand National. Seven-year-old's have a very poor record in the race with the last seven-year-old winner being in 1940. A good horse but has plenty on his plate today. Perhaps one of the dark horses at the top of the weights is the Fergal O'Brien trained Perfect Candidate. Perfect Candidate is a really nice horse who looks the right sort of candidate for this race being a good winner over Cheltenham's stiff 3 miles and two-furlong course. He looks a good tough horse and is improving type. He has not run at this course so this is something of an unknown but he looks good in a steadily run race but perhaps gets left behind when the pace is fast early on. If he can stay with the pack early on and does not get too detached he could be one staying on at the finish. He seems to go on any ground but will have to improve to be involved in the finish here. Saphir Du Rheu is one of the champion trainer Paul Nicholls entries in the race. A good hurdler and a really good novice chaser he has struggled a bit against really top-class horses. He is a past Aintree winner as in 2015 he won the Mildmay novice Chase over 3 miles 1 furlong here, but last year was well beaten by the very smart Cue Card. He did seem to be running into a bit of form earlier this year, and he ran in the Cheltenham Gold Cup where he ran well in the race and stayed on. The question again is did that race take too much out of him? If you believe it didn't then he could be the right sort of horse for the race, and at only eight years old he is likely to be one of the improvers in the race. The Irish in-form trainer Gordon Elliott has a number of potential runners in this race and the first is Roi Des Francs. This young bay gelding comes here after a really good run at Down Royal on 17th March. He won really well that day over 3 miles and 2 furlongs but did start a very hot favourite. His record is not great at Aintree with two runs at this festival being pulled up in 2015 and finishing sixth of eight in the novice Chase last year. He will have to improve considerably to take part in the finish today but does come from a stable in red-hot form. Another Irish-trained horse in the same ownership as Roi Des Francs is Wounded Warrior trained by Noel Meade. Wounded Warrior's past form is quite impressive at Naas racecourse back in January 2015 he beat last year's Grand National winner rule the world by 9 1/2 lengths over 3 miles. A few months later he went to Cheltenham and ran in the 2015 Gold cup he ran a really good race and stayed on at the end to finish in third place as a six-year-old. He continued that year by avoiding Aintree and going to the Punchestown Festival where he was second in novice Chase to the very smart Willie Mullins-trained Valseur Lido with the Gold cup winner Don Poli just not performing on the day. He has not been in top form this year but if he did return to form there are much worse horses to take a punt on at big odds (currently 50 to 1). Wonderful Charm has been something of a revelation this season showing much-improved form but in lower class Foxhunter chases. He was a really good second at the festival and that may have taken something out of him. To his advantage here today he will be carrying roughly a stone less weight than he has been doing in his recent races. The rebooking of Katie Walsh who rode him at Cheltenham is also a positive. He ran in this race last year but was pulled up after 20 fences. Tenor Nivernais trained by Venetia Williams is a reasonably well exposed 10-year-old bay gelding. Untried at Aintree yet, he has run quite well at Cheltenham in good races. He does look to be in the form of his life currently but was an odds-on beaten favourite over 2 miles 7 at Kelso last month. There is plenty to like about this horse especially when the ground is soft, but the drying ground in the lead up to the race would not be ideal. 4 really good runs but no wins yet this season is against the smart eight-year-old Nigel Twiston-Davies trained Blaklion. This horse is many people's idea of a Grand National winner and he comes out of a stable who has won the race before. This season he was fourth in the Charlie Hall Chase and ran fifth in the Hennessy Gold cup. His form has been getting better steadily throughout the season and his last run when 2nd to the smart Vieux Lion Rouge in the National trial at Haydock would put him spot on for this race. Unlike the horse that beat him that day, Blaklion sidestepped Cheltenham for a crack at this race. A good horse on the up and one who could be vying for favouritism on the day. Drop out Joe has only run once this season and that was over 280 days ago when he won the summer National at Uttoxeter. That was a marked improvement over his runs in the months leading up to that. Presumably, he has been laid out for this race but has something to find in a competitive race. Le Mercurey is a really good French bread seven-year-old bay gelding trained by Paul Nicholls. He was a good novice up until last season's RSA Chase when simply got outpaced and weakened at the end of his race. His form then took an upturn when he went to Ayr and won a novice Chase and had the very smart Bristol De Mai seven lengths behind him. He has had two eye-catching runs this season the first when second behind Many Clouds at Aintree's December meeting and then a second at Newbury in the Denman Chase behind Native River, both of them small runner fields. A really nice horse on the up but this race perhaps comes too soon for him, as I've said before seven year old's have a really poor record in the Grand National. There Are few better amateur jockeys riding today Than Sam Whaley-Cohen. He has an absolutely fantastic record of getting horses around the Grand National course. So although the bear form this year of his mount The Young Master, is not impressive rest assured that is jockey knows what it takes to get a horse around this course. He did run in the Becher Chase over these fences back in December and fell. He never looked totally comfortable that day and it may just be that this course won't suit him but he does act on any ground and if anybody can get him round it will be Sam. The Cheltenham Festival cross country winner Cause of Causes comes here from that win to take his chance in the big one today. This horses a true long-distance chaser and is still only nine years old despite having 40 runs. It is rare for him to run a bad race, and also does very well with amateur jockey Jamie Codd on board. If these two reunite again, and of course Cheltenham hasn't taken too much out of him he should put up a good performance here today. He did take part in the 2015 event where he finished eighth behind that year's winner Many Clouds. In the same ownership as Cause of Causes, the nine-year-old bay gelding Regal Encore is trying to step up in the Grand National. In his last nine races, he has been pulled up six times and has two wins and a second. If on a going day, he could have a chance of making the frame but is just as likely he has an off day and doesn't get around. Vieux Lion Rouge is a really good eight-year-old chestnut gelding trained by David Pipe he is a horse that rarely runs a bad race and is a real long-distance chaser. His liking for this course was backed up by his win in the Becher Chase back in December, which was the first run he had since finishing seventh in last year's national. Set only carry 7 pounds more in the race today he certainly won't start at the 66 to 1 odds of last year but is more likely to be vying for favouritism. His well-being was confirmed when he won the Grand National trial at Haydock on 18th February beating the very smart Blaklion another fancied horse running today. Has every chance and looks to have lots in his favour. Just one thing, in the race where Aintree form is supposedly something to be favoured, horses that have run in the race previously have quite a poor record in coming back in winning the race. Placed horses often do well again, but don't win. Perhaps this horse can turn around that statistic? Another at the head of the betting market is Definitely Red. He is a good horse with a good record having won 10 and then been placed 5 times in 19 runs. He rarely runs a bad race and likes the staying type chases. He does have to step up on the form that we've seen so far but he looks to be going the right way with one of his best wins coming in the Grimthorpe handicap chase winning it with The Last Samurai 14 lengths behind him over 3 miles and 2 furlongs, and that was his most recent run. That looks good form and a big run is expected. Irish-trained Uncello Conti is a well exposed nine-year-old bay gelding. He has good pieces of form including a fine sixth in this race last season and a fourth in the Becher Chase last December. Runs well, but often finds a few too good in the race for him. Should give a good account of himself and will be hoping to go a few better than his sixth of last year. The lightly raced seven-year-old bay gelding Double Shuffle comes to this race on the back of two good performances at Kempton in his last two runs. He won a handicap chase at Kempton in their December meeting and then ran a good third in a grade 3 handicap chase in February. Obviously had this race in mind for some time and looks to be a good improving horse but lacks the experience being seven years old. The Venetia Williams trained Houblon Des Obeaux looked as if he was going to makeup into a really smart chaser a few seasons ago but seems to have plateaued. He has won on good but is much better when there's a bit of cut in the ground. Likely to give a good account of himself especially if you consider his fourth in the Midlands National over 4 miles 1 1/2 furlongs back in March. Not sure if a 4-mile race is perfect prep four weeks for this race, however. Champion Irish jockey Ruby Walsh looks to have chosen Pleasant Company over the other horses that he had a chance to ride in this race. This is a lightly raced nine-year-old horse who looks to have had this race in mind quite some time. At the end of last season, he was really good at the Punchestown Festival beating the smart Regal Encore by three-quarters of a length. He looks to be running into form as his last race at the end of February, he stayed on well in the Bobbie Jo Chase to win narrowly from another horse entered today, Thunder and Roses. The fact that Ruby Walsh has chosen this horse means that he should come in for some support and can't be written off easily. Scottish trained One for Arthur looks a really good long-distance chaser. Trained by Lucinda Russell he really does seem to be the type of horse that you want on your side in this marathon. He has not run for 84 days when he won a 3-mile 5-furlong handicap chase at Warwick in soft ground. The 84-day gap is normally a little too long coming into this race but he is a horse that runs well fresh and after what might have been a reasonably hard race, despite the fact he won easily, it is good to see him having a slightly longer break perhaps. Looks the right type and has plenty on his favour and certainly one for the shortlist. Another horse trained by David Pipe is the 11-year-old Ballynagor. A good servant to his connections but things haven't really been going his way this season with his last three runs being pulled up all at Cheltenham, once in the November meeting again in the December meeting and finally in the January meeting. He ran in this race last year but unseated his rider at the 19th fence. He'll need significant improvement to win this race in 11-year-old that does not look likely. Trained in Pembrokeshire by Rebecca Curtis O'Faolains Boy has not had a great season so far. Pulled up on his only two runs this year there is perhaps not much to fancy about him. However, if you go back a little way he has had some really fine races under his belt in February 2014 in the RSA novice Chase trial at Ascot he beat the Grand National winner Many Clouds over 3 miles. A month later he went to Cheltenham and beat a smart field with Smad Place, Morning Assembly, Ballycasey and Carlingford Lough in behind i the RSA Chase. That was really smart form. He also ran a cracking race in the graduation Chase at Newbury in December 2015 where he beat the really smart Sausalito Sunrise by 15 lengths. I feel that today he could well be one of the better outsiders to take a punt on. Obviously, you'd have to take his fitness and well-being on trust, but I'm sure Rebecca Curtis wouldn't be running the horse if you didn't think he had a chance. Highland Lodge, trained by James Moffatt is a lightly raced 11-year-old bay gelding. He has been recently bought by Mrs David Thomson who bought the 1992 winner Party Politics shortly before that race. He hasn't done anything wrong really in his career and often runs with credit. 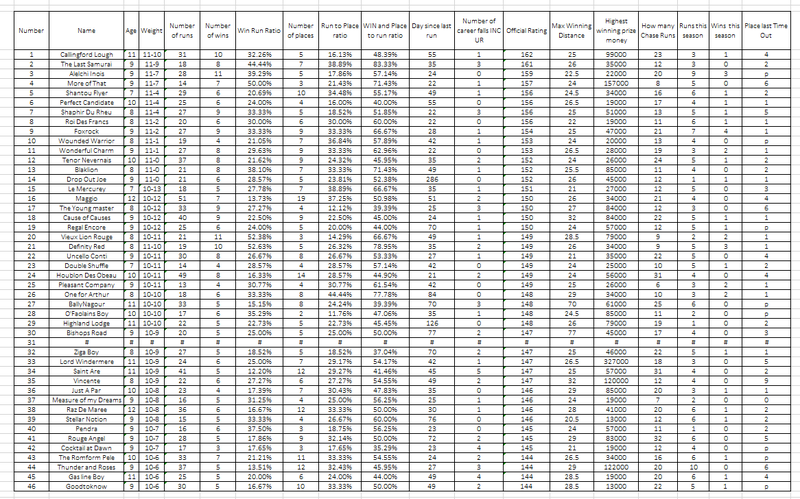 But is not a prolific winner with only three wins from 19 Chase runs. He ran in last season's Scottish Grand National but was outpaced from mid-race and was pulled up before three out. His last run was back in December in the Becher Chase. He did have a significant rise in his form finishing second that day and presumably has been laid out with this race in mind. A liking for the course and the fences is certainly in his favour. Bishops Road is trained by Kerry Lee and looks to be developing into a good long-distance chaser. He ran in the Topham Chase here last season and unfortunately he fell at the first fence, so that doesn't bode well for today over the same fences. He ran 10th in the Welsh Grand National at Chepstow before improving and finishing third back in January in the Peter Marsh. He will have to improve but does look the right sort of horse for this race and will be running off a good weight. 77 days since his last run is not ideal but he should give a good account of himself. The 2014 Cheltenham Gold cup winner Lord Windermere has not looked the same horse since and has not won since that day. Indeed his best run since then was in a two-mile six race in Ireland. He was pulled up in this race last year at valentines on the second circuit. He was never going really well and looks difficult to fancy today. The Tom George trained 11-year-old gelding Saint Are looked really good when finishing second in this race in 2015. He then went on the following season to run a reasonably good seventh in the Becher Chase. Disappointingly he then ran in the Grand National and made too many mistakes and was well tailed off before being pulled up one fence from home. At 11 years old even with his good recent run at Doncaster is difficult to fancy. One big factor in his favour, however, his jockey, Davy Russell seems to get the best out of horses in this race. Vicente had a sublime season last year which culminated in winning the Scottish Grand National. A proper long-distance chaser who loves the extreme distances he has not quite been on his form this season since opening his account at Newbury and falling in a 3 mile 2 furlong Chase. He obviously has talent and should have no difficulty staying this distance. But poor recent form is a worry. From the same stable as Vicente comes Just a Par. He is a horse that can run a little in and out of form but when on form looks quite impressive. He was 15th in this race last year a long way behind the other runners but he was heavily eased down after the last. Has just bounced back to form in March winning a handicap chase for veterans runs at Newbury, but that form may not be quite good enough today. Measueofmydreams is a nine-year-old bay gelding trained by Noel Meade in Ireland. He ran in last year's Scottish Grand National but he fell at the third fence but also made a mistake at the first. He was joint-favourite for the race that day and was very disappointing. He later went to Sandown for the 3 miles five Gold cup Chase and finished well down the field. At that time he was trained by Willie Mullins. Since moving to Noel's yard he has been pulled up and then finished 12th at Cheltenham in the Ultima. He would have to improve to take part in the finish here. Raz De Maree trained by Gavin Cromwell ran a very good race in the Welsh national and finished second staying on behind the very smart Native River. He is a proper long-distance chaser and ran in this race in 2014 when he finished eighth 38 lengths behind the winner Pineau De Re. He ran in the 2015 Midlands Grand National and was second behind Goonyella. That year he had a try at the Scottish National but was pulled up. A horse with good long-distance form and is last race in March at Thurles over a distance too short of 2 miles 7 furlongs may well have put him spot on for this race. Stellar Notion is a nine-year-old gelding trained by Henry de Bromhead. His winning form has all been around 2 to 2 1/2 miles. He has been tried twice over 3 miles, once when he was 2nd to the smart Cheltenham winner Tiger Roll and then again when he was beaten 7 1/2 lengths into fourth place by the smart Noble Endeavour in the Paddy Power Chase. Lack of a 3-mile win is a bit of a worry. Another Irish raider comes in the form of Rogue Angel trained by Mouse Morris, he was the winner of the Irish national last season. He hasn't managed to get is head in front since that day in his six runs and also was not great in the Becher Chase over these fences in December where he finished 10th. The Irish National win shows that he has a little class about him but not sure that he will take to the fences or even the extended distance today. Cocktails at Dawn trained by Nicky Henderson, this nine-year-old gelding has had quite a poor season. He was fourth at this course behind Many Clouds in December and on his two runs since has fallen and then was pulled up at Cheltenham in the grade 3 chase at the festival. He has never won over a distance further than 2 miles and 5 furlongs and has not really shown good form when extended to 3 miles so it's difficult to think this extended trip will suit him. Thunder and Roses is another Irish raider with a really nice racing weight. Trained by Mouse Morris he did not go to Cheltenham but instead ran at Naas in Cheltenham week and finished sixth on heavy ground over 3 miles. Looking at his recent form he always seems to find one or two too good for him however back in April 2015 he won the Irish Grand National and had last year's Grand National winner Rule the World four a half lengths behind in second. That win in April 2015 was the last time he managed to get his head in front and he has had plenty of runs this season, nine in all. This may be coming at the end of a hard season for him. Gas Line Boy trained by Ian Williams, this 11-year-old ran in the 2015 running of this race where he fell at first fence. I'm sure that his connections are hoping that he'll get further this year. He has not really run a bad race this season but it has been over two years since he won and this looks a tall order for him today. Goodtoknow trained by Kerry Lee, this nine-year-old bay gelding looks a strong horse and looks as if the marathon distance might suit. He won a handicap chase at Taunton over 3 1/2 miles and although was all out of the end he ran a really good race. He also beat the Deuel Welsh Grand National winner, and stablemate, Mountainous at Hereford back in February on heavy ground. He loves really soft ground and the drying weather forecast for this week is going to be a big negative for him. La Vaticane trained by David Pipe is an improving sort of horse but in races below this calibre. He was a smart performer in France on heavy ground and is another who will not be suited by the drying weather forecast. Doctor harper trained by David Pipe. He is improving since being upped in trip. He ran in the Amuteur riders race at the festival and finished 7th. More inprovment needed today. Grand National 2017 horses form stats.